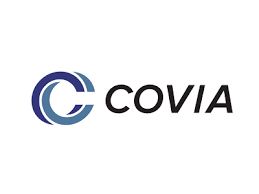 Covia is a leading supplier of minerals and material solutions to the industrial and energy markets. The formation of Covia in 2018 is the most recent of many significant milestones in our shared history. Built from the merging of Fairmount Santrol and Unimin Corporation, Covia’s rich legacy includes many achievements across industries and capital success through partnership. Our ability to deliver the right product, to the right place, at the right time, is unmatched. Just as strong is our commitment to building partnerships that help our customers succeed. Quality and innovation are at the foundation of Covia; but our real strength is our people. Covia employs a diverse and highly-skilled team of professionals to convert natural minerals into engineered solutions for our customers. Every member of our team has a valuable opportunity to help shape our future and make a positive impact on the world around us through our commitment to the locations where we live and work. Covia is looking for a dynamic Health & Safety Coordinator who will have a positive impact on the Alpha Resins team at its Detroit, MI location. As a Health & Safety Coordinator, you will supervise and coordinate all health and safety activities to provide a safe workforce at the Alpha Resin Plant as well as provide Process Safety support. Lead and manage a company Health & Safety Program that includes PSM and RMP. Assist in development, implementation and maintenance of the Safety & Health Management System to include required OHSAS 18001 implementations and management. Maintain conformance to Federal Regulations 29CFR1910 and all state and local regulations and overseeing conformance to Recordkeeping Standards. Maintain a training program in conformance with OSHA to include: Safety & Health Onboarding, Visitor Orientation, Annual Refresher, Task Training, Hazard Training and Contractor Training. Coordinate Safety & Health Training sessions (Monthly meetings) in association with current programs and procedures. Performing field evaluations; recognition/ evaluation/ control of chemical and environmental contaminants. Conduct Industrial Hygiene surveys, generate survey reports, provide recommendations, develop corrective methods, controls, and procedures to improve work environment. Responsible for equipment calibrations and conduct fit-testing. Primarily responsible for conducting industrial hygiene surveys and sampling in collaboration with Corp.
Safety & Health Industrial Hygiene resources. Manages facility's health sampling data in internal company database. Investigates, recommends, and confirms completion of corrective actions to reduce exposure and ensure healthy working conditions for workforce. Responsible for maintain plant's industrial hygiene equipment in good working ordering and current on field and manufacturing calibration requirements. Workplace contaminants include but may not be limited to noise, organic and inorganic vapors, radiation, and dust. Participate in all federal, state, and local regulated inspections and compliance visits from contracted third parties. Assist in maintaining the Occupational Health Program and Hearing Conservation Program to include maintenance of the FML Medical Records System. Internal Auditor for OHSAS 18001 Safety & Health Management System. Investigate all incidents as Case Manager. Provide leadership for the plant Management of Change system. Serve as the internal lead for the site Process Hazard Analysis (PHA). Coordinate the safety aspects of the plant RMP program. Coordinate the plant contractor safety program. Lead the Standard Operating Procedure (SOP) process at the plant. Maintain the plant SDS system for all chemicals and produced products. Serve as the plant Industrial Hygiene Coordinator. Serve as the plant HIPPA contact. Minimum 3 years of experience in Health & Safety. 2 years of experience in industrial hygiene preferred. Apply the principles of industrial hygiene to include recognition, evaluation and control of recognized hazards. Bachelor’s degree in Safety & Health or Industrial Engineering or related field preferred, Associate’s degree required. Working knowledge of Microsoft Office: Work, Excel, SharePoint. Ability to collect interpret, analyze, and present data. Knowledge of Federal Safety Policies and Procedures; OSHA, ANSI, NEC and General Industry Safety Standards. Experience with industrial hygiene testing equipment, supplies, and personal protective equipment. At Covia, we strive for and support a diverse workforce as we firmly believe this lays the foundation of our success. Our compelling culture supports inclusion, individuality and respect within the workplace. We are committed to providing employment opportunities to the most qualified candidate based on work-related factors and without regard to non-work-related factors including race, color, religion, national origin, gender, sexual orientation, gender identity, age, disability, or veteran status.